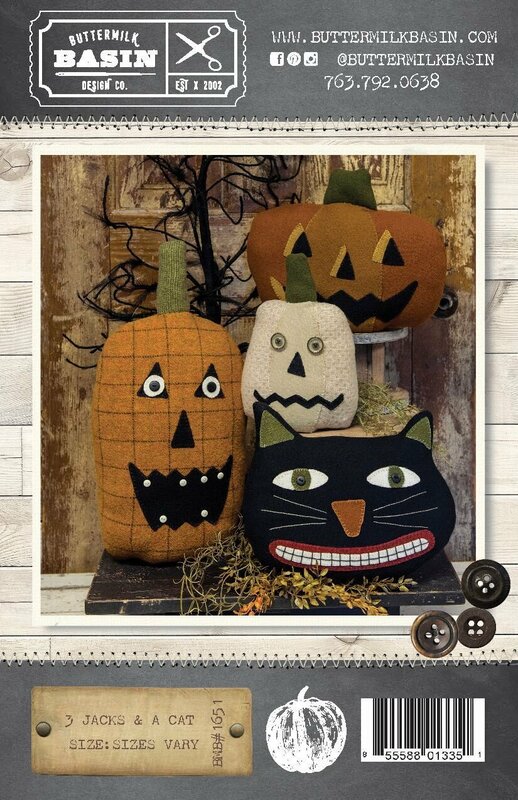 NEW Fall & Halloween Patterns, Kits, Wools , Fabrcs & more! 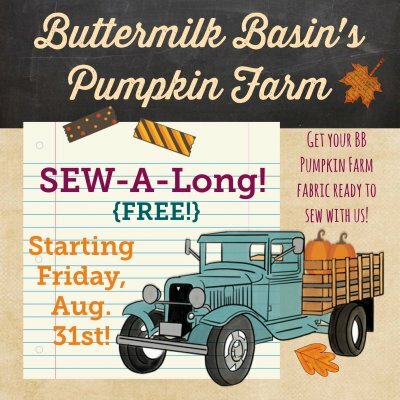 We know you all LOVED our "Spirit of America" SEW-A-Long, so we are starting a BB Pumpkin Farm SEW-A-Long with our NEW fabric collection! Mark you calendars! It starts this Friday! 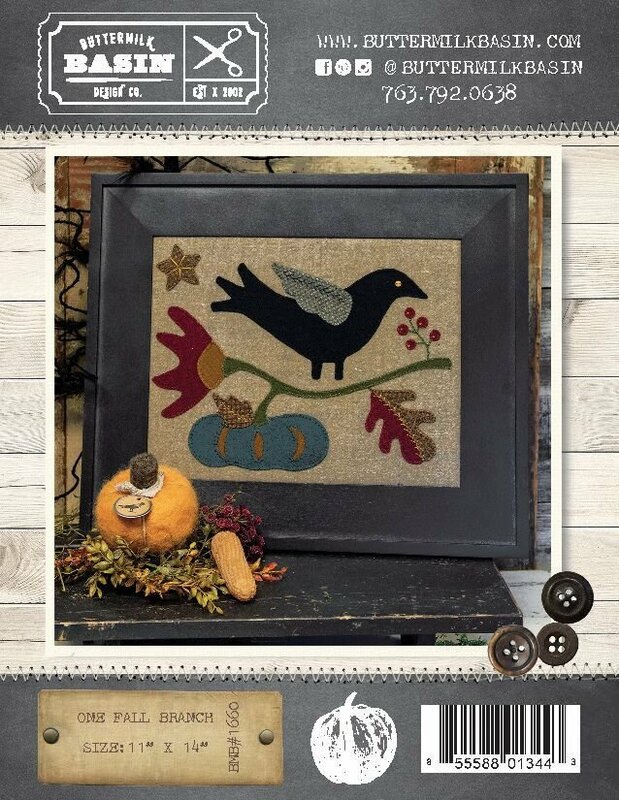 This is one of our favorites, with the gorgeous fall colors that make up the tree and wool applique to make it even better! 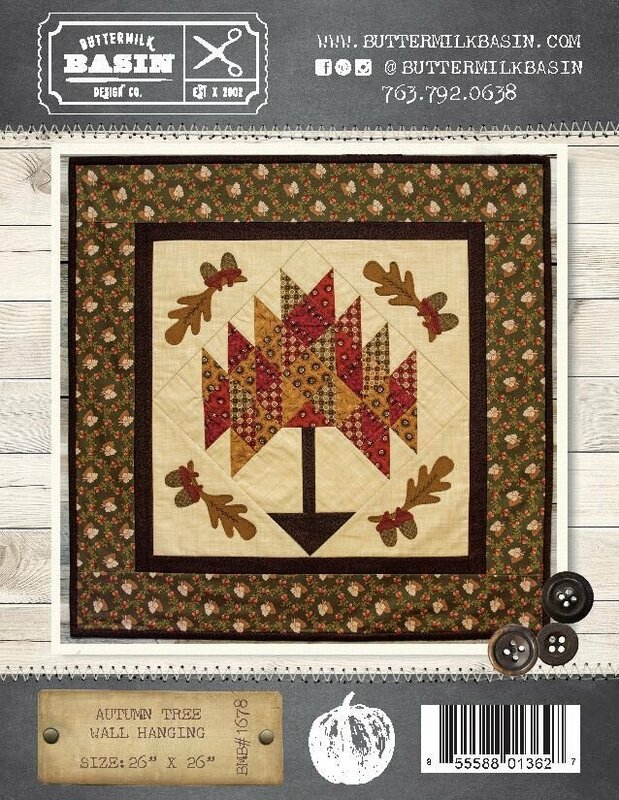 The Autumn Tree Wall Hanging is 26" square. This is the pattern only. 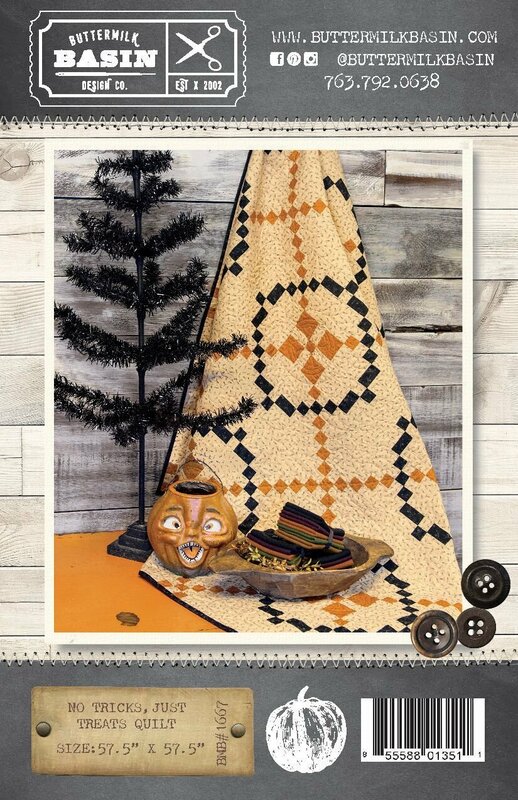 All Dressed Up For Halloween was a hit at Quilt Market & we are excited to have it ready for you! 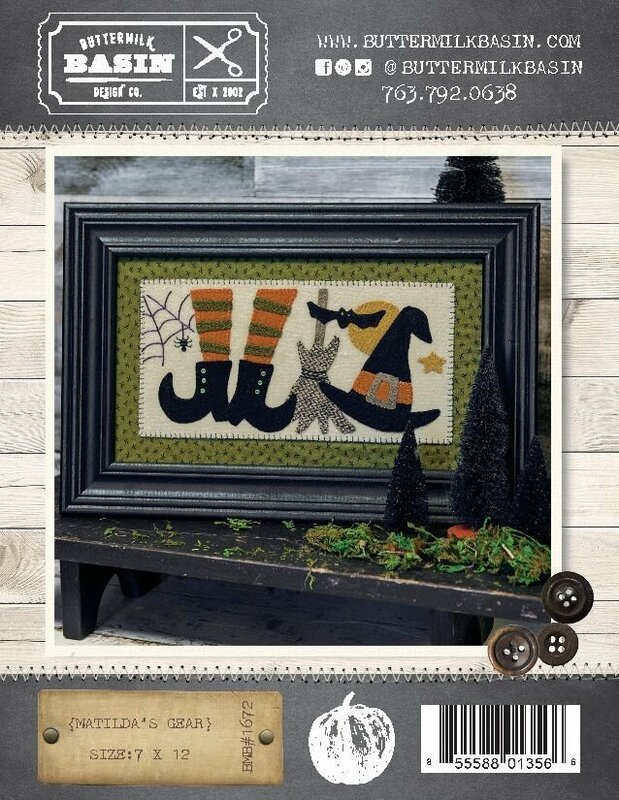 It is a gorgeous quilt with silhouettes of 3 children getting ready for Halloween. The quilt is 46" x 52". This if for the pattern only. 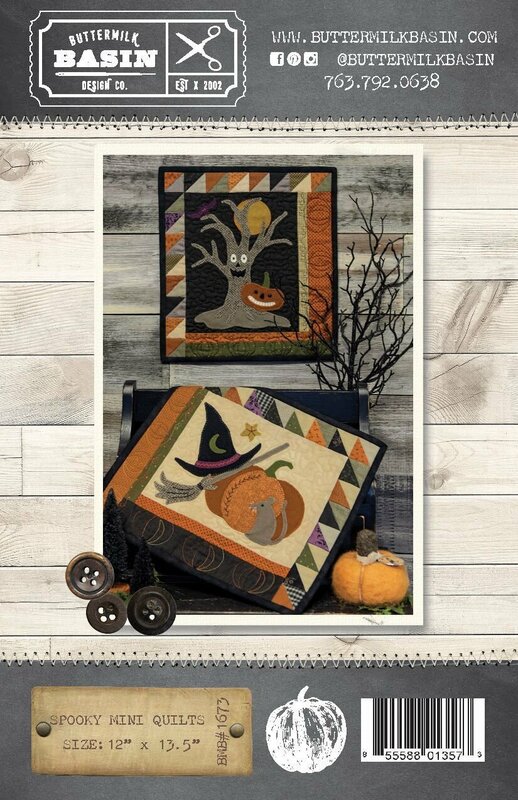 All Dressed Up For Halloween was a hit at Quilt Market & we are excited to have it ready for you! 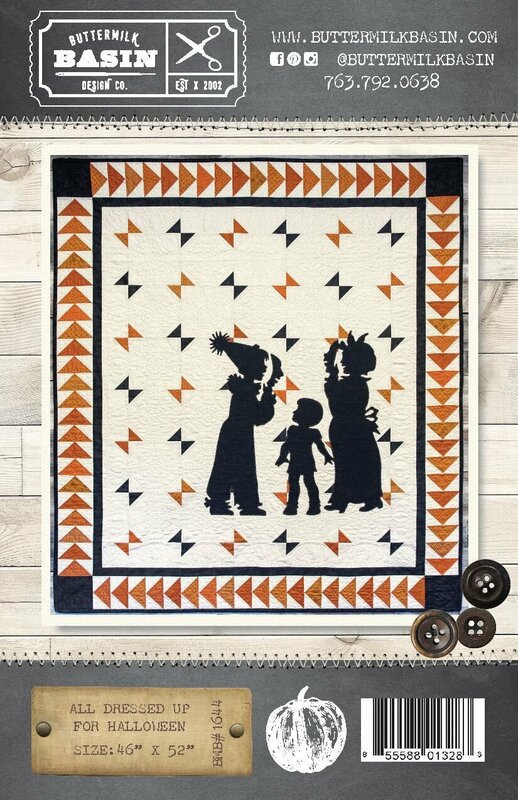 It is a gorgeous quilt with silhouettes of 3 children getting ready for Halloween. The quilt is 46" x 52". The kit includes pattern & wool only (no fabric). Blocks 4, 5 & 6 are the 3 blocks that make up the bottom row. 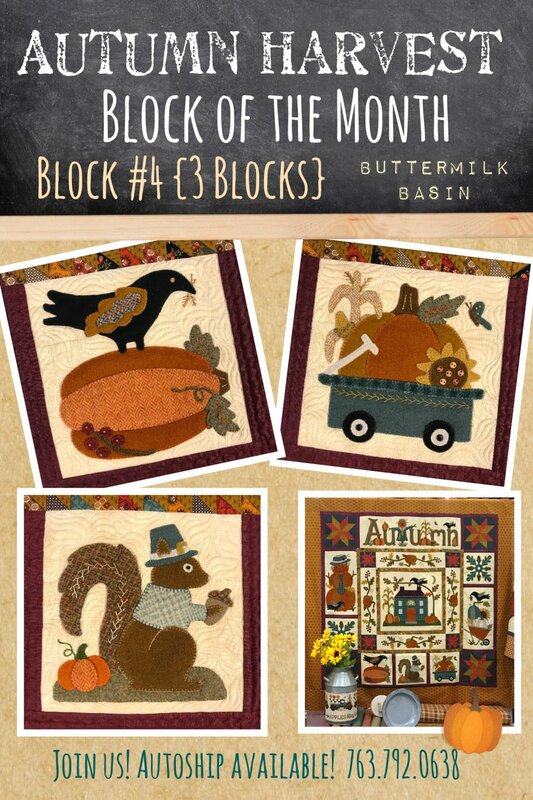 There is a Squirrel & Acorn Block, Wagon & Pumpkin Block and a Crow & Pumpkin block. 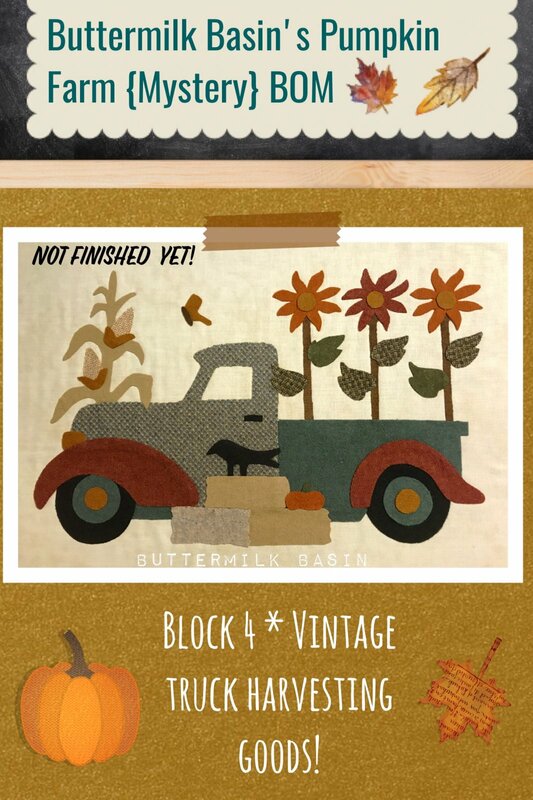 The kits include background fabric, wool & patterns needed to make each block! 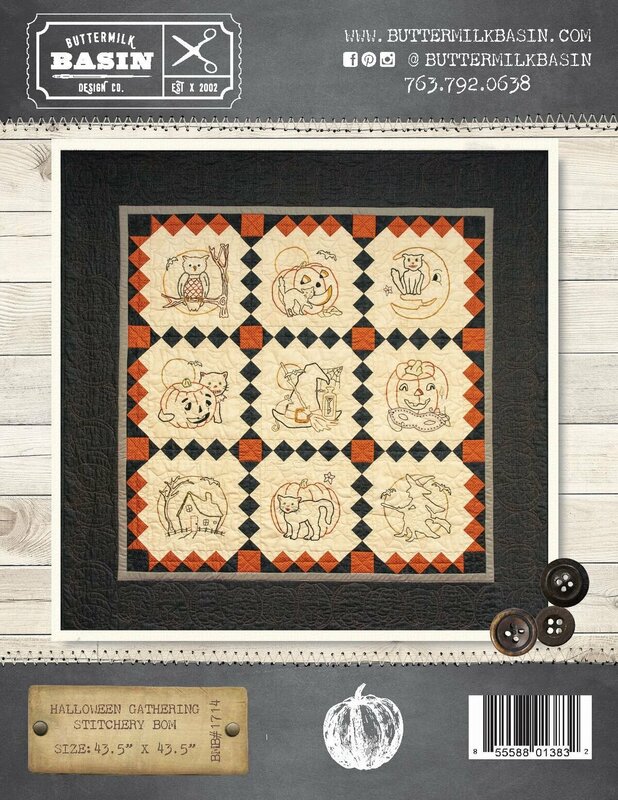 The Halloween Gatherings Stitchery Quilt is a 43 1/2" x 43 1/2" quilt with some of our favorite vintage Halloween motifs! The stitchery is done on fabric. This is pattern only. 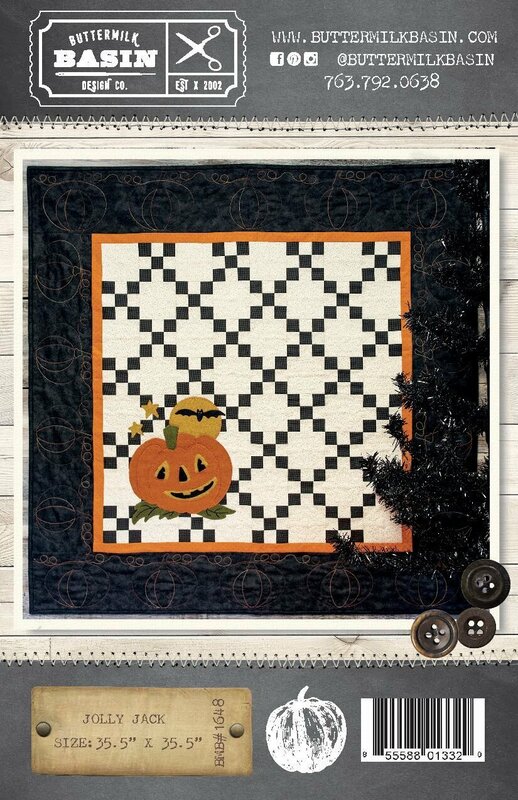 Jolly Jack is a cheerful quilt for Halloween decorating! 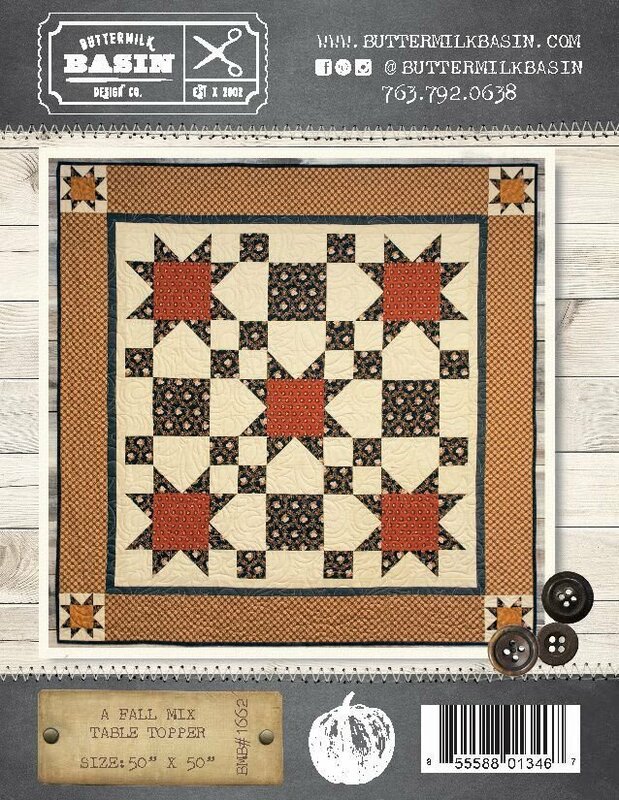 The quilt is made of cotton with wool applique, and measures 35 1/2" x 35 1/2", great for a table top or wall hanging. The kit includes pattern and wool only (no fabric). 3 Witch Hats is a fun project to display at Halloween! 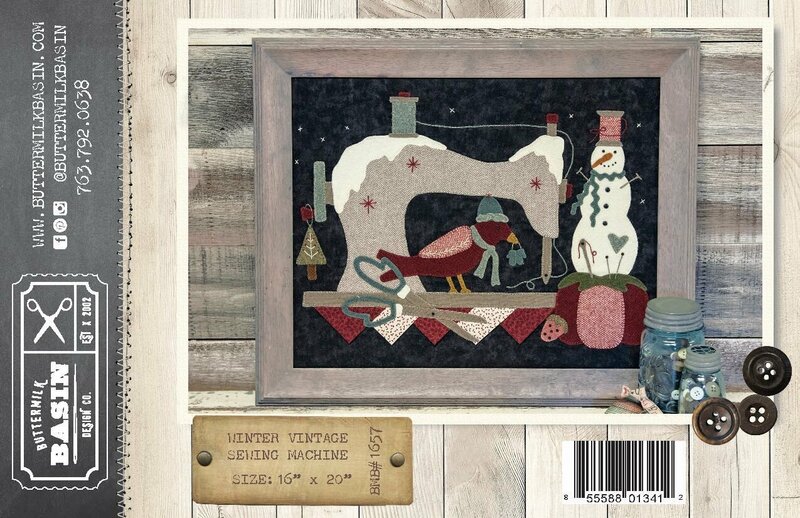 The kit includes the pattern, wool, and fabric to make the project, which measures 7" x 12". Pumpkin Jack is ready for Halloween! 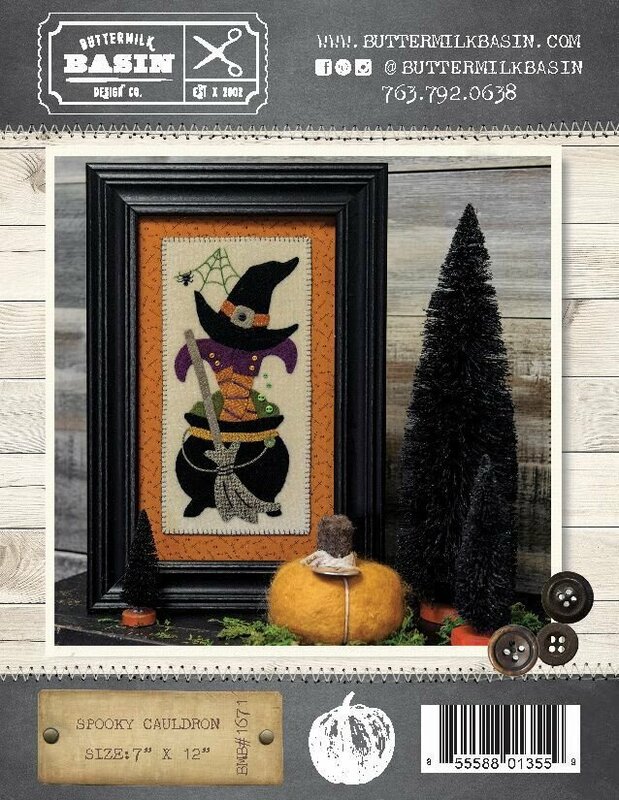 This project is quick to stitch up and enjoy this Halloween! 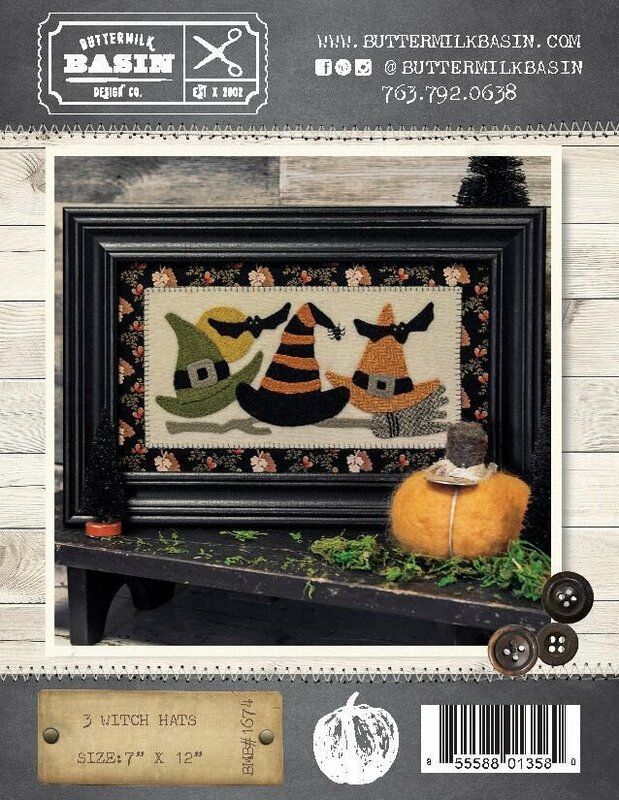 The kit includes the pattern and wool to make Pumpkin Jack, which measures 5" x 12". What a gorgeous couple of ladies we have here! 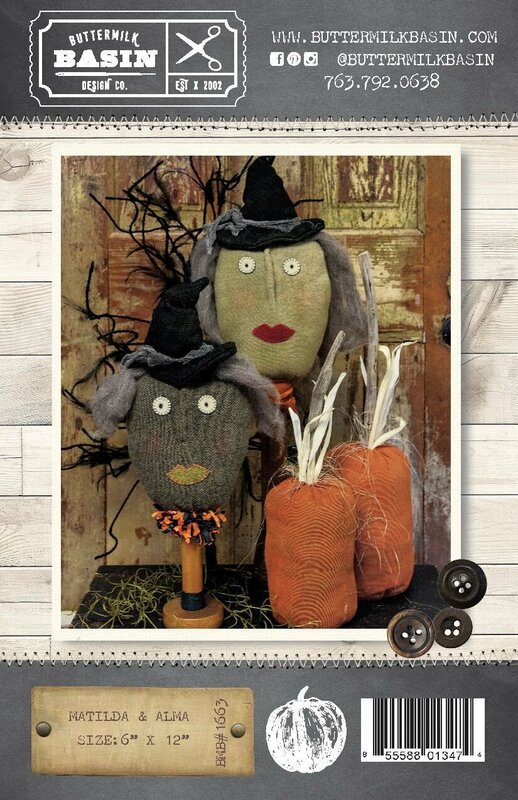 Matilda & Alma are made of wool, then stuffed and perched atop old spools, ready for your Halloween decorating! They are 6" x 12" each. Pattern only. 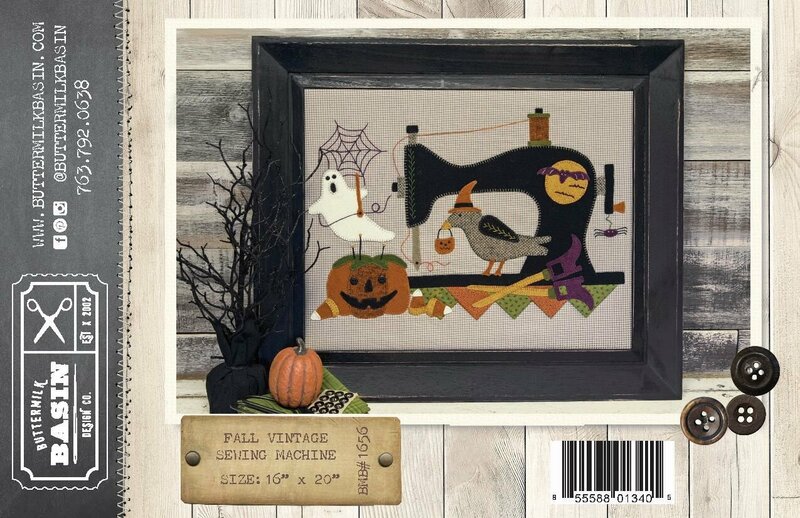 The Haunted Halloween Woolen Mat features all of the things we love about Halloween! It is wool applique on a wool background, and measures 13 3/4" x 43", it's a long one! 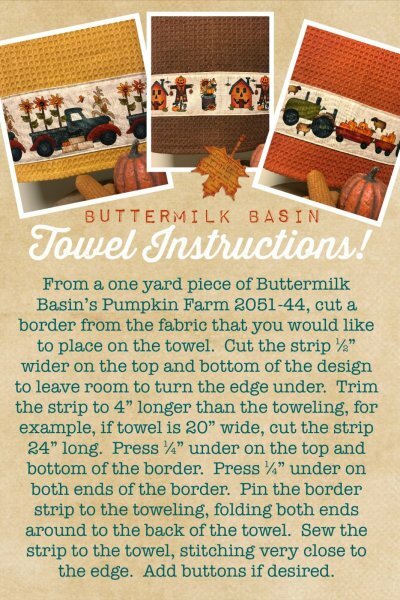 The kit includes the pattern and wool (fabric backing not included). 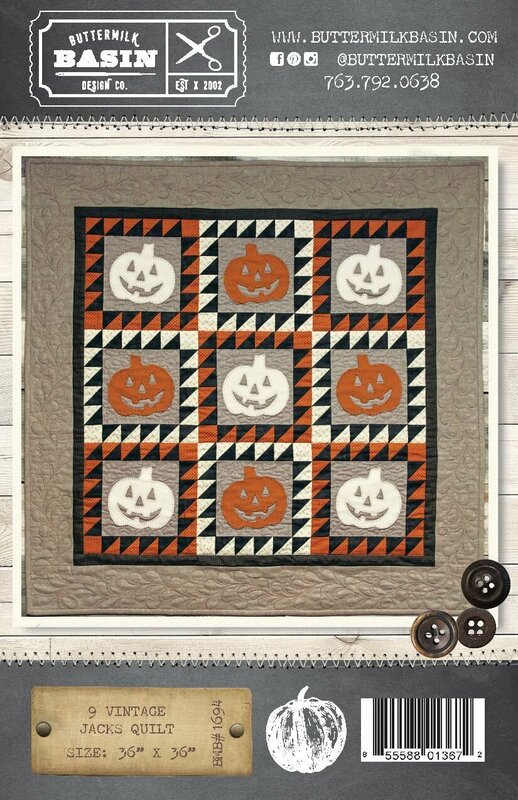 Not Just Halloween Quilt is a 53" x 61" quilt with fabric applique on fabric! 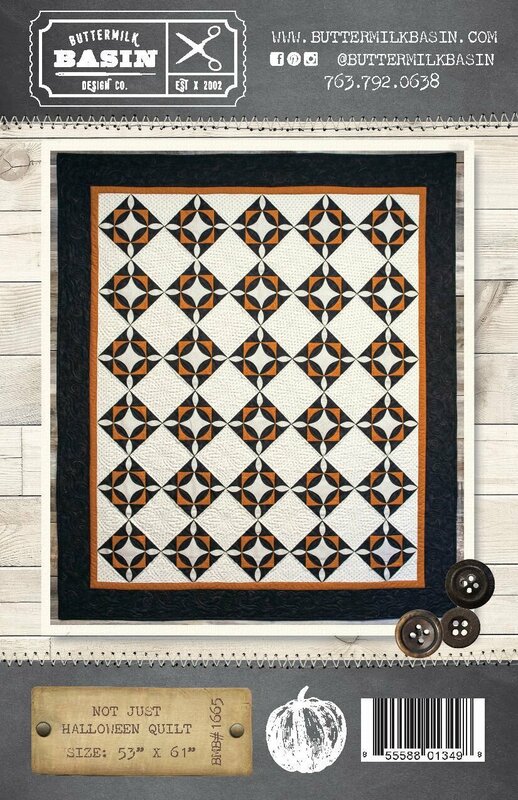 Done in blacks, oranges, and light shirtings, it is perfect to display all year! Pattern only. 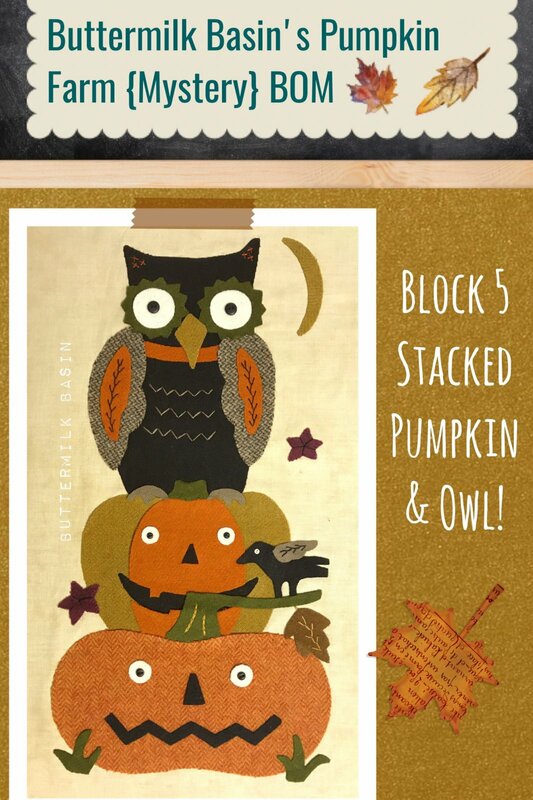 Matilda's Gear is a great wool applique project for Halloween! It is 7" x 12". The kit contains the pattern, wool, and fabric. 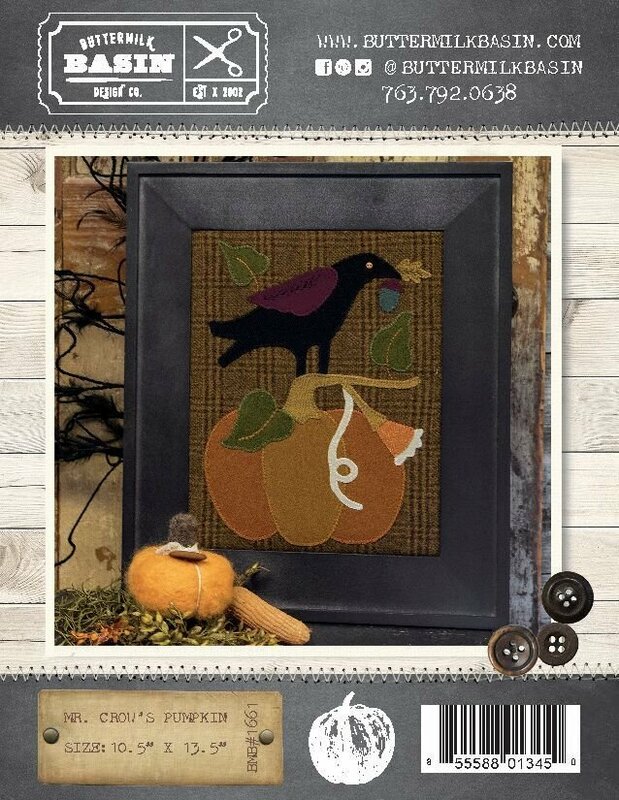 Mr. Crow's Pumpkin is a framed design that is 10 1/2" x 13 1/2"! 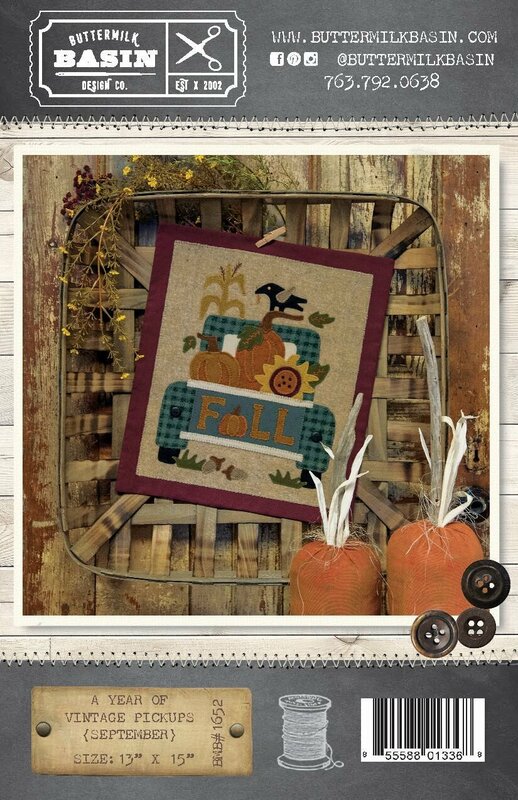 The rich fall colors make a beautiful project to display all fall! The kit includes the pattern and wool. 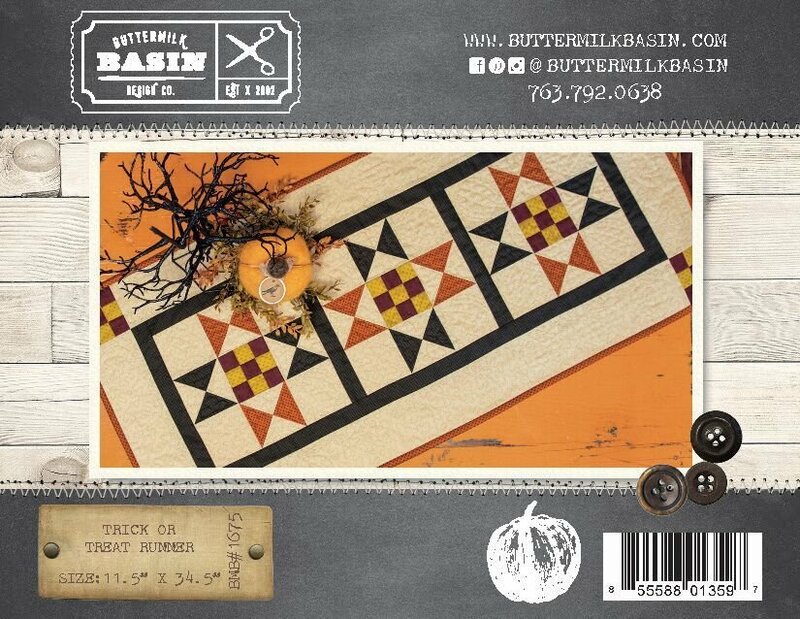 No Tricks, Just Treats Quilt is a 57 1/2" x 57 1/2" quilt that will look great all fall in your home! 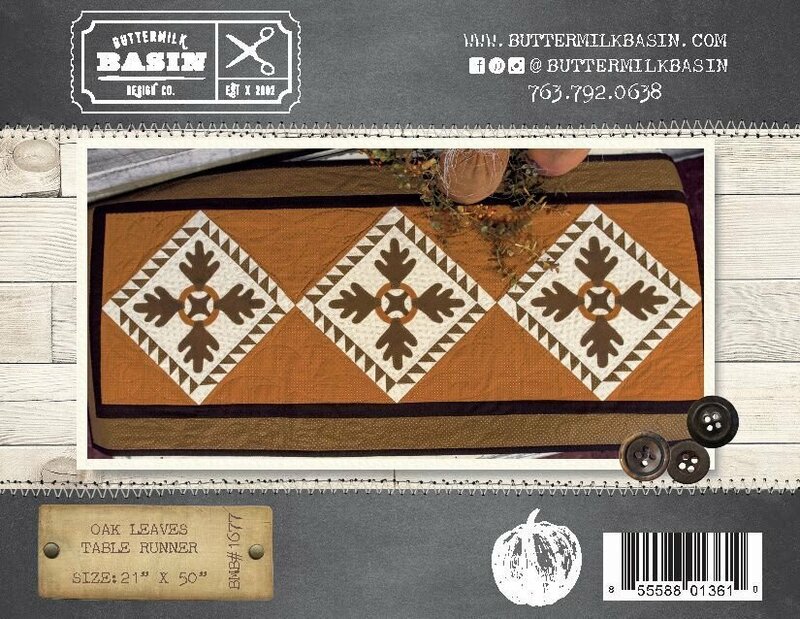 Use it as a lap quilt, table topper, or wall hanging! This is pattern only. View Large Image Checkered BOO! Checkered BOO! 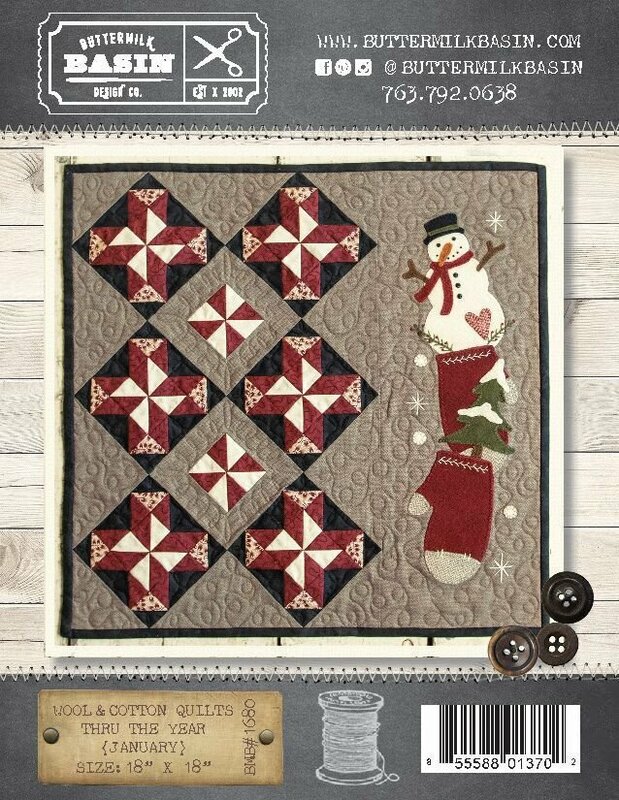 is a nice little quilt to display on a table or hang on the wall! It is 16" x 23 1/2" and fun to make! Pattern only. 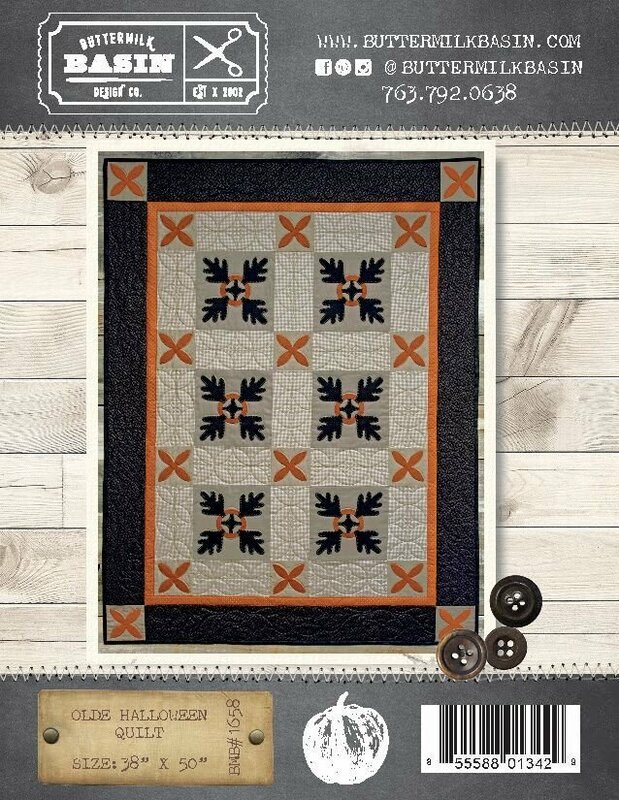 The Olde Halloween Quilt can be displayed all fall, in gorgeous oranges and blacks! 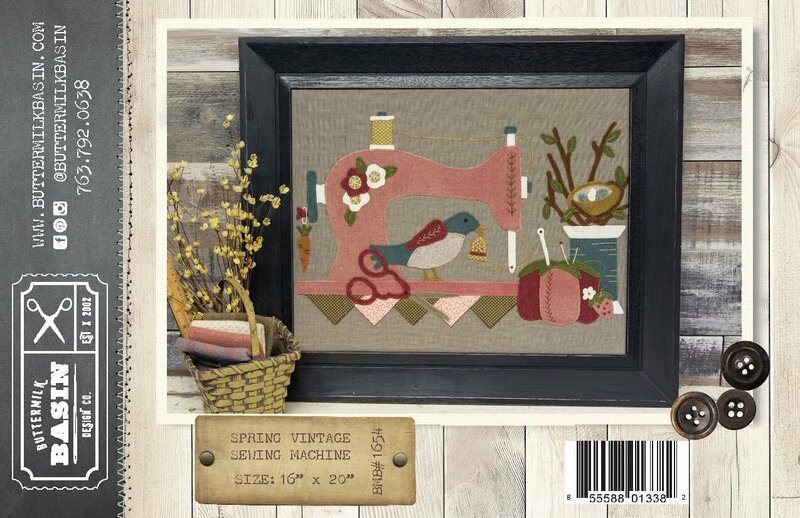 It is 38" x 50", the perfect size for a wall hanging or table topper in wool applique on cotton. The kit includes the pattern and wool only (no fabric). 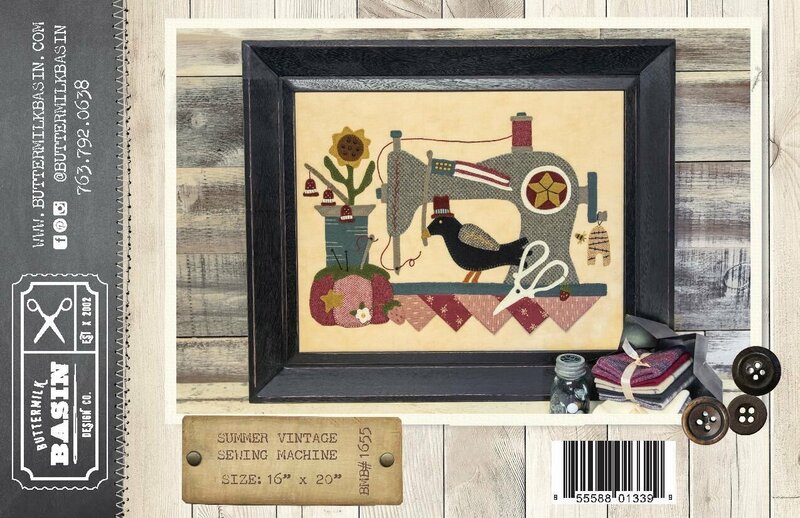 9 Vintage Jacks Quilt is a fun vintage looking quilt with wool applique jacks! It is 36" x 36" and makes a great wall hanging or table topper. The kit includes the pattern and wool only (no fabric included). 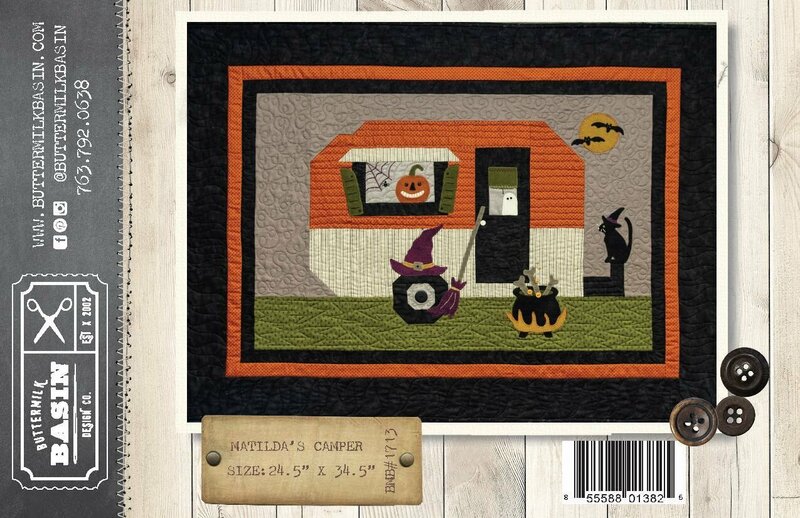 The Spooky Mini Quilts are a pair of quilts just perfect for Halloween! 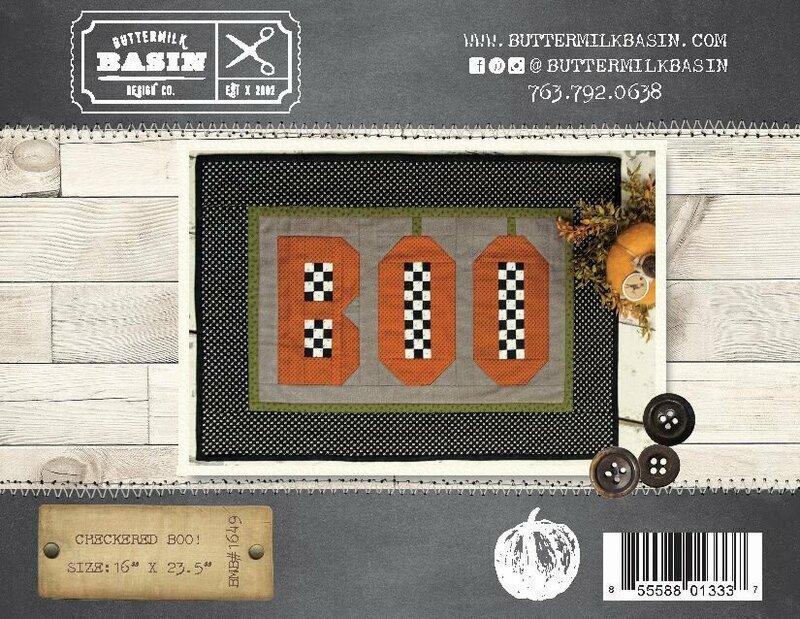 The wool applique on cotton quilts are easy enough to whip up in time for Halloween! 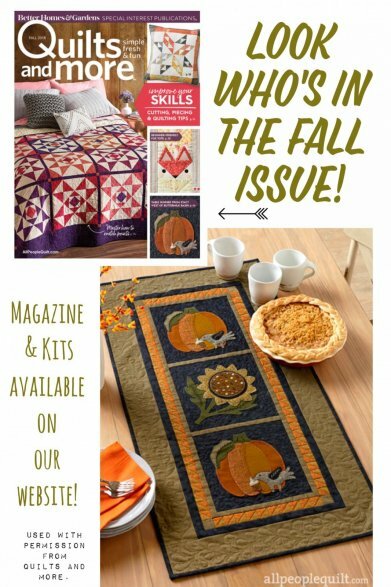 The kit includes the pattern and wool only for the quilts (no fabric included). 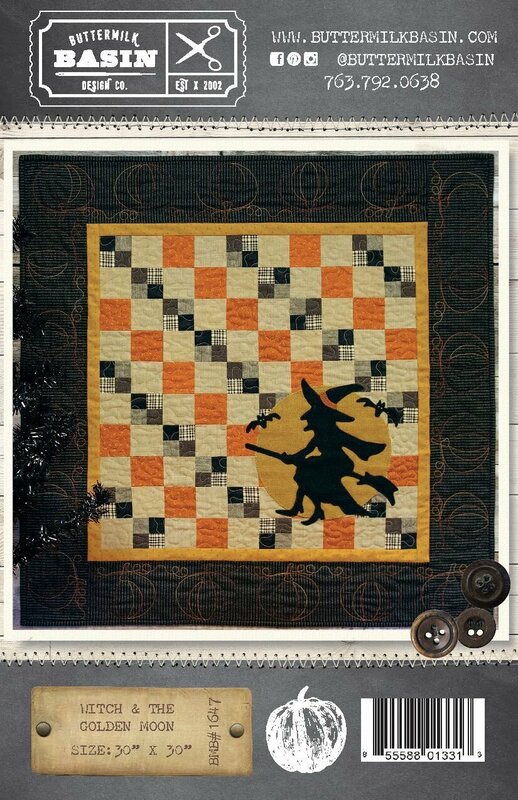 The Witch & the Golden Moon is a vintage looking quilt, wool applique on cotton, the perfect size at 30" x 30" for a wall hanging or table topper! The kit includes the pattern and wool only (no fabric). Take a look at this fun group of 3 Jacks & A Cat! Make one or all 4 for a great display, in a variety of sizes. They can be made of wool, with wool applique faces, or could be made of flannels, then stuffed. Pattern only. 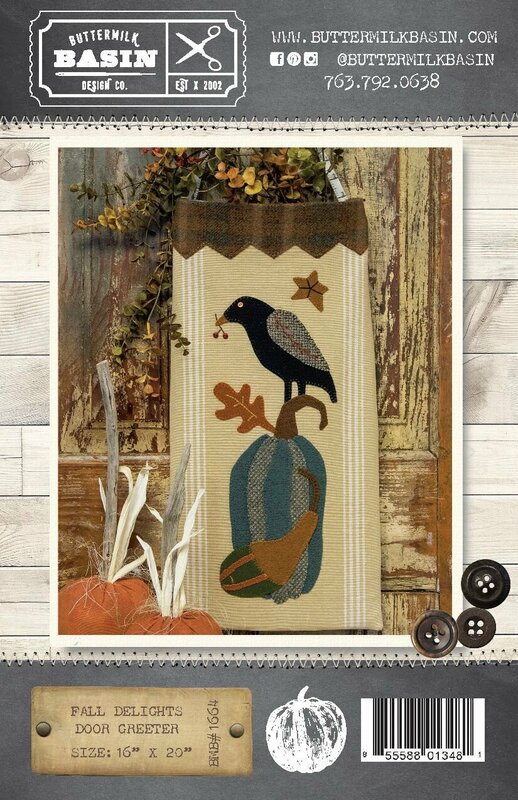 The Fall Delights Door Greeter is just perfect to adorn your front door to welcome guests! The wool applique on toweling bag is 16" x 20". The kit includes pattern, wool, toweling, and tape measure ribbon. 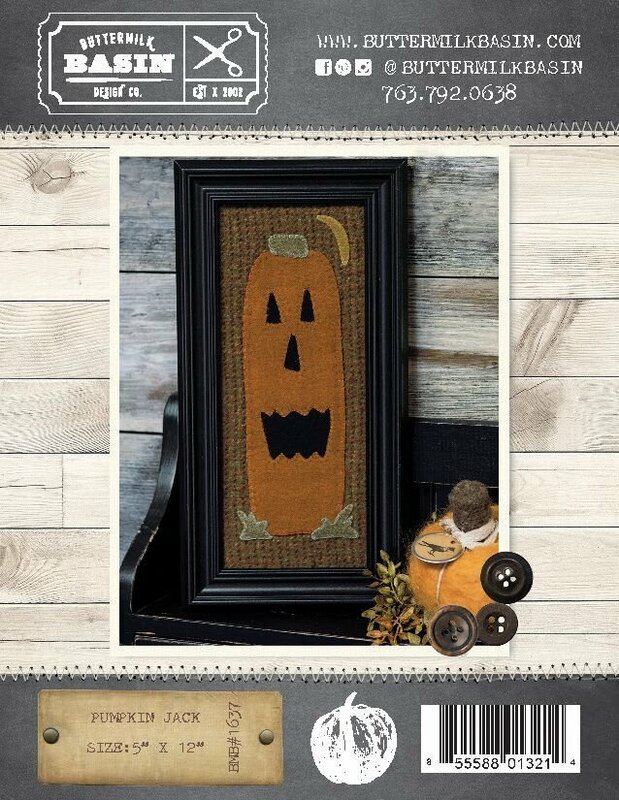 Stitch up Olde Jack to display this autumn and Halloween! The wool applique project looks great framed as we did, or make it into a mat to display on a table! 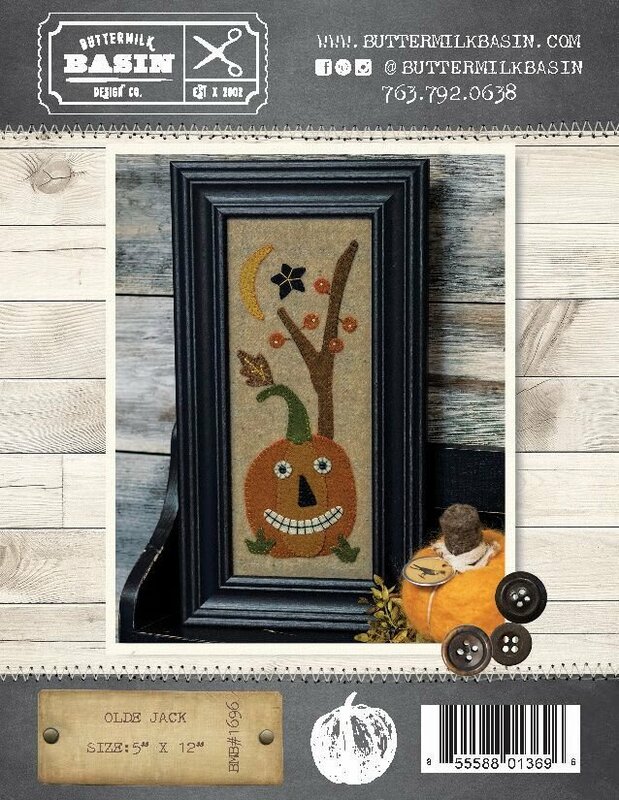 The kit includes the pattern and wool to make Olde Jack, which measure 5" x 12"
One Fall Branch is a wool applique on wool background framed design done in the perfect fall colors! It is 11" x 14" and looks great framed, or make it into a pillow! The kit includes the pattern and wool. We love the Spooky Cauldron! 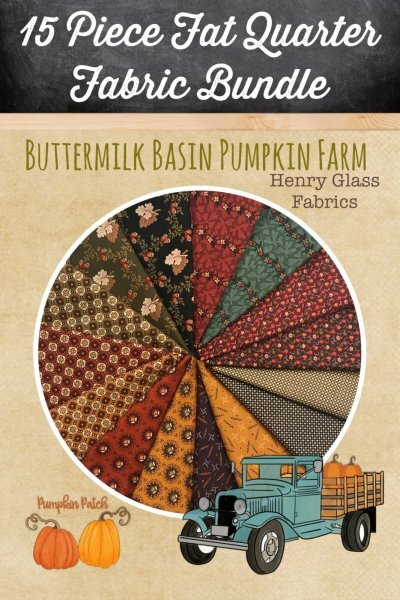 This project measures 7" x 12" and is perfect framed, or make it into a pillow to display for Halloween! The kit includes the pattern, wool and fabric.